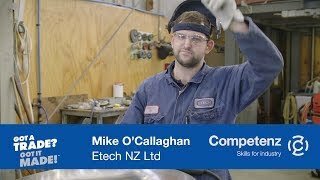 The Competenz Careers team work collaboratively with over 200 schools to help student’s kickstart their careers in the trades industries. We embarked on a research project, in partnership with market research agency Colmar Brunton, to find out from schools how Competenz can better support and deliver flexible Gateway services, as well as continue to promote trades across our 37 industries. The research took place in Terms 2 and 3 this year, with 22 schools throughout the North Island taking part. Teachers and Gateway Coordinators were asked for their feedback on ideas such as having a more project-based model approach with unit standards wrapped around it, the benefits of using the relationship links we have with industry, how we can provide a more formalised package of learning, and what is the support requirements needed for students in order for them to achieve. What were the outcomes from the research? The results for Gateway services showed some very clear distinctions for students in schools around the country. Some have more students who are interested in having the experience of the placement itself, rather than a guaranteed job at the end of it. The need to find the ‘perfect’ placement match and work environment is relatively low. While other schools are under a lot of pressure to find a large number of placements with solid, practical outcomes, including an apprenticeship as part of the deal. Some schools have great connections to industry contacts and strong ties to training providers, while other Gateway Coordinators are spending hours cold-calling unresponsive local companies, and some are working hard with the student and the family to find a suitable placement. The amount of work for Gateway Coordinators varies dramatically from school to school. As do the resources and networks available to them. People want a great package that’s accessible, easy-to-use, and gives step-by-step assistance with moderation and compliance to national standards. But the loud and clear call is for support with the pastoral work involved in getting and maintaining as many quality placements as possible. Feedback from teachers told us they were happy with the industry unit standards we provide them to teach in their classes, as well as the easy-to-access sample projects through our Tools4Work programme. We knew the pressure teachers and Gateway Coordinators face, long before the research was undertaken. 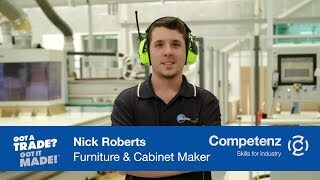 We appreciate how much time and effort goes into supporting students into trades and industry. After getting amazing, thoughtful and decisive responses from teachers, Gateway Coordinators and students on what their perfect programme would look like, we’re convinced that we’re on the right track. The results validate the direction we've been focused on for the last two years - offering practical, hands-on support to teachers, Gateway Coordinators and everyone else involved in a student’s career path.